TABASCO® SWEET & Spicy Pepper Sauce offers a sweet-heat flavor perfect for Asian-style appetizers and entrees. Your customers will use it for everything from fried shrimp and chicken fingers to potstickers and egg rolls. 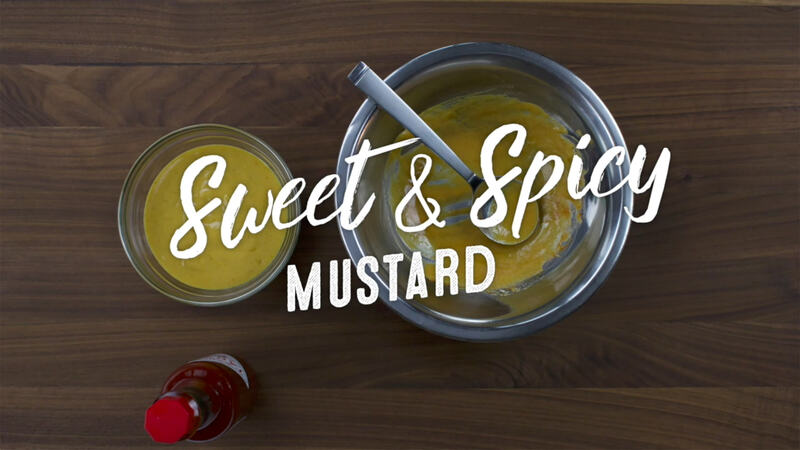 This Sweet & Spicy Mustard is great to use in stir-fries, marinades, glazing, salad dressings and as a side dipping sauce. TABASCO® brand Sweet & Spicy Pepper Sauce --- 1 Tbsp.